When: April - May, September - November for fewest crowds. Who: All ages but make sure the whole family understands and follows Park safety rules. A name known around the world. Its unspoiled volcanic features and wildlife attract over 4 million visitors annually. Nature and wildlife lovers travel to this remote region of the United States to gaze at Old Faithful, walk between bubbling mud pots and have their picture taken with a bison (hopefully far in the background). 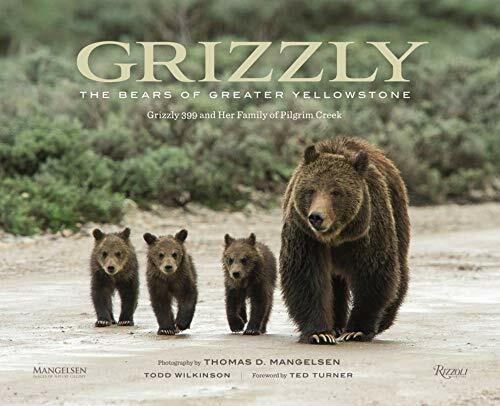 And Yellowstone National Park is also one of the last footholds for the grizzly (or brown) bear in the lower 48 US states. If you are like me, the thrill of seeing a wolf or bear in the wild creates memories to last a lifetime. But, If you have been lucky enough to visit these parks and get a sighting of one of their famous apex predators, you have probably also experienced the infamous ‘wildlife jams’, long traffic jams caused by drivers stopping in the middle of the road after spotting a wild animal. A single wolf walking through Lamar Valley can halt traffic for miles. A grizzly bear eating a bison carcass in Hayden Valley causes headaches for park rangers trying to prevent on-lookers from being run over on the road. A herd of elk or bison hanging out at Mammoth Hot Springs is the signal for enthusiasts to start attempting selfies seemingly oblivious to the risks involved in approaching a wild animal. Some of the local wildlife has even reached celebrity status. Bears like ‘399’, ‘610’ and ‘Blondie’ have a loyal following who track their movements and offspring throughout the seasons and years. 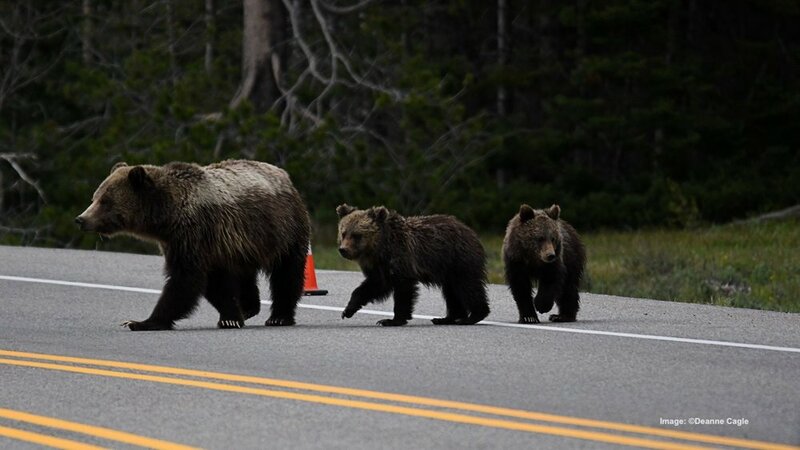 These bears have been immortalized in iconic images, such as those by Jackson Hole resident and former BBC Wildlife Photographer of the Year Thomas Mangelsen. Wolf packs like the ‘Lamar Valley pack’ have been the subject of many nature documentaries and magazine articles, including by the BBC and National Geographic. Countless books and articles have featured the many different species of wildlife here. Wildlife photographer Deanna Cagle from Arkansas is a frequent springtime visitor to the Yellowstone and Grand Tetons parks. She spends her time looking for bears. Cagle advises, As with most wildlife, especially dangerous, a long lens is recommended, and I shoot with a 500mm lens currently. There is a 100-yard rule for bear proximity in these two parks. However, one can often shoot from their vehicle with a shorter lens. Deanna especially enjoys tracking the parks’ celebrity bears: Grizzly sows 399, 610, & 794 in the Tetons have all provided great bear watching experiences throughout the years. I’ve also had extended viewing with the two known as Raspberry & Snow in Yellowstone. One exciting and quite a scary moment I witnessed had 794 and 399 chasing each other when 399 had a new cub. She put her tiny cub up a tree, and the chase was on. I was quite surprised to see the much smaller 794 turn around and chase her back. I was terrified that the cub would be lost, but when it was all over, 399 retrieved her cub and while foaming at the mouth from running & getting hot, sauntered off across the field with her little one in tow. In Yellowstone National Park, the best time to see a grizzly is late spring. With snow still on the ground, the brown-colored grizzlies stand out from their white surroundings. Some likely spots to search for them include the eastern entrance road coming from Cody until Fishing Bridge, as well as Lamar valley and the entrance road from Cooke City. Bears also frequent Hayden valley, especially if there is a carcass available. Lamar and Hayden valley are both vast areas, however, so a grizzly sighting often requires powerful binoculars. In Grand Teton National Park, grizzlies are often seen at closer range from the park roads in the Willow Flats area during late spring. Spring is elk calving season, and the grizzlies know that Willow Flats is one of the most significant calving areas. 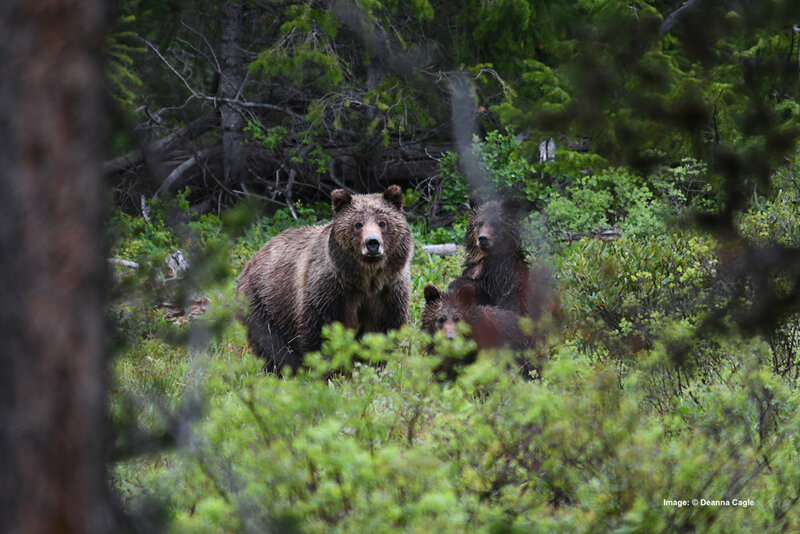 As the grizzlies come out of hibernation, they are hungry, and elk calves provide an easy meal. During fall, Grand Teton National Park holds a public elk hunt. It is one of the only national parks that allow an annual hunt called the “Elk Reduction Program.” The gunshots act as a dinner bell for the bears that come to the area near the Gros Ventre River to eat what the hunters leave behind. Another good location during fall is the Moose-Wilson road. However, the park rangers frequently close this road when a bear is sighted on or near the road. Of course, both Yellowstone and Grand Teton do have you covered for a multitude of other species. A random visit to either park almost guarantees up-close encounters with bison, elk, pronghorn, and moose plus a decent chance of spotting bighorn sheep, coyote, fox and a host of bird species. So, this area should be at the top of your list for wildlife photography! Loss of habitat and hunting brought the iconic grizzly bear to the edge of extinction in the lower 48 during the 1970s. In 1975 the federal government added the grizzly bear to the list of endangered species, thus granting it protection from hunting. Trophy hunting has traditionally not been allowed in US national parks. One of the reasons for the existence of the national park system is to enable us to get back to nature and experience the beauty of the vast landscapes and its wildlife in an unspoiled manner. Animals, however, don’t share our understanding of park borders. They frequently find themselves outside of the parks, crossing into private property or adjoining forests that provide much less or no protection at all. 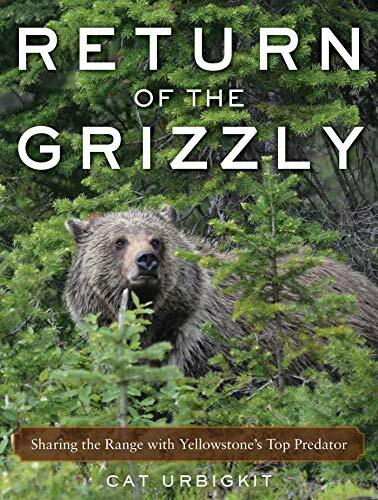 In July 2017, it came as a shock to many wildlife enthusiasts and nature organizations when the US Fish & Wildlife Service decided to delist the grizzly from the endangered species list. 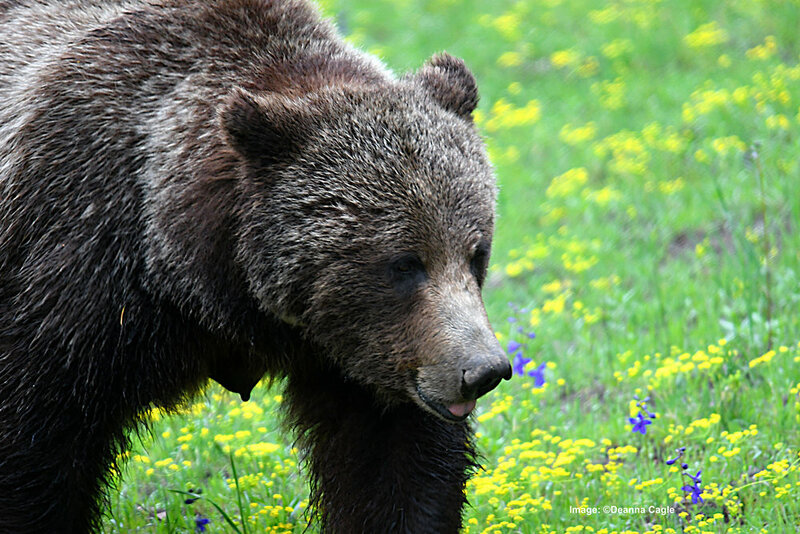 The states of Wyoming and Idaho subsequently planned to issue grizzly hunting permits for up to 23 bears: bad news for the Greater Yellowstone bears, - and also for tourists and photographers. It is common knowledge among wildlife photographers that areas in which hunting is allowed are not great for observing and photographing wildlife. For example: Try taking a picture of an elk in the heavily hunted national forests of Arizona, Utah or Idaho –the animals bolt, at first sight, smell, or sound of humans – versus in the protected area surrounding Estes Park, Colorado where they are more relaxed. Animals that are frequently hunted get conditioned to fearing, and avoiding, humans. 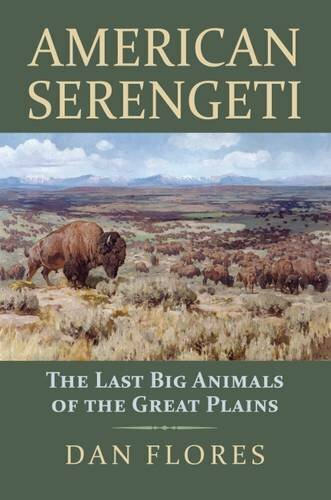 The Greater Yellowstone ecosystem was headed in the same direction. If hunting were allowed, there would be fewer bears roaming the parks and hunting would condition them to avoid humans altogether. Economic studies show that grizzlies and other wildlife, including wolves, are far more valuable alive than dead to the local economy. A bear that brings hundreds of thousands of visitors to the area annually (and provides a lifetime of memories) can be legally killed by a single hunter for the price of a hunting permit. ( In Wyoming 2018 the cost of a grizzly bear hunting license was $600 for residents and 6,000 for non-residents, grey wolf was $187. 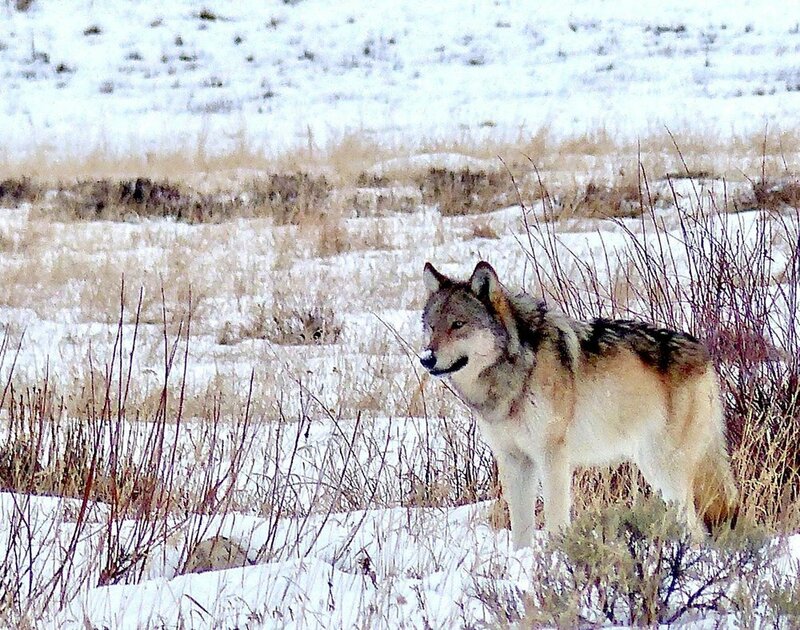 In November 2018, a wolf named “Spitfire,” one of the last remaining members of the Lamar Canyon wolf pack was legally killed by a trophy hunter as it ventured outside of park borders in Montana. The state of Montana sells a wolf hunting permit for $19 to residents and $50 to non-residents. When that wolf or bear is killed, so is its economic value to the community. Based on a peer-reviewed study in 2018 by economists Catherine Cullinane Thomas of the U.S. Geological Survey and Lynne Koontz of the National Park Service, The parks provide an estimated 16,000 jobs, directly and indirectly, in the states of Wyoming, Montana, and Idaho. 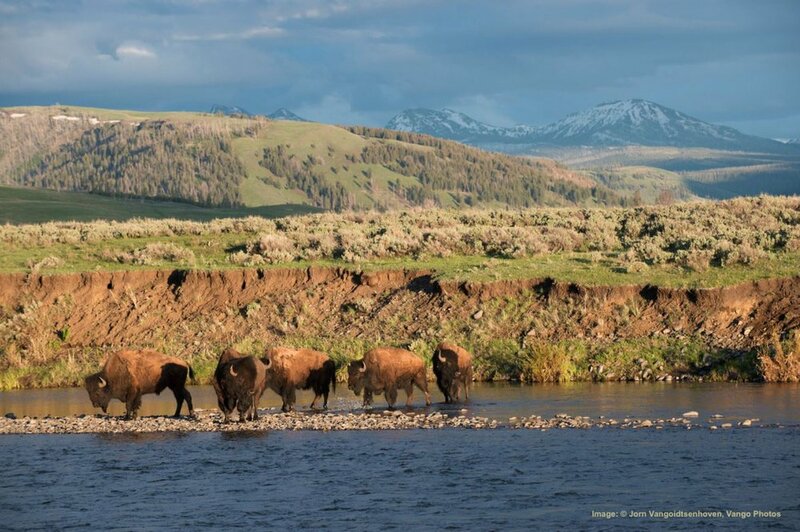 The contribution to the local economy by Yellowstone National Park and neighboring Grand Teton National Park is estimated at over $1 billion annually. Without the combined 7 million annual national parks visitors, Jackson Hole probably wouldn’t be the multi-million-dollar real estate market that it is today. West Yellowstone and Gardiner might be specs on the map if they still even existed at all. Based on the numbers, preserving the parks’ natural attractions and wildlife are top priorities for the local and federal governments. Or at least, one could argue that this should be the case. Allowing hunters to kill these beloved animals, which are at least partially responsible for bringing millions of dollars of revenue to the local area, could be considered an example of strange economics. And allowing a few hunters to remove the source of enjoyment for hundreds of thousands of tourists could be regarded as an example of strange ethics. Luckily for the bears, a federal judge stepped in at the last minute to halt the hunt. 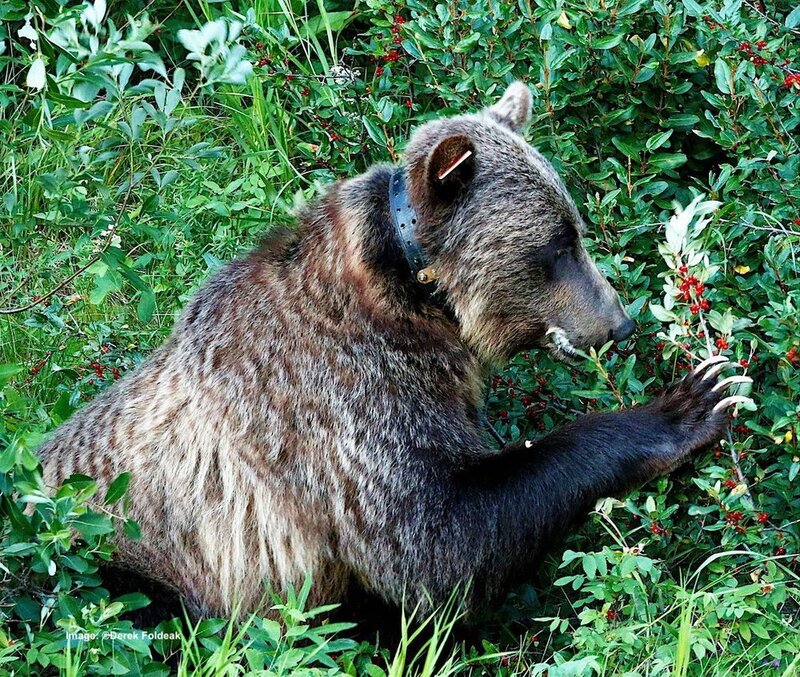 Following the example of Canada, grizzly bears are – for now – protected again. In 2018, after many years of allowing grizzly bear trophy hunting – an estimated 250 bears were killed annually – the local government in the western Canadian province of British Columbia has decided that these majestic bears deserve protection rather than ending up as ornaments over fireplaces. According to Canadian Natural Resources Minister Doug Donaldson: “About 250 grizzlies are killed annually by hunters in B.C., a number that is sustainable for the population estimated at 15,000 bears, but public opinion on the practice has turned. It's not a matter of numbers, it's a matter of society has come to the point in B.C. where they are no longer in favor of the grizzly bear trophy hunt." Here’s to hoping that these protections in the United States and Canada allow us to enjoy these magnificent creatures more easily. Where Else Can I Still See a Grizzly in the Wild? If you enjoy seeing a wild grizzly in its natural habitat, are there many places left where you can have an unspoiled experience? Are there any spots left where these beloved icons of the American West are plentiful? Places where they allow us to observe and photograph them in a non-threatening manner? As it turns out, yes. Watch for the next in my series of articles on grizzly bears. I will be highlighting some of the best spots to go see and experience the big brown bears in their natural habitat. We already spoke about Yellowstone and Grand Teton. Now, get ready to embark on an adventure to remote areas in Alaska and Canada, including the mysterious place of the “Khutzeymateen”! 7 Days Photographing the Most Majestic Parks in America.